No outfit is complete without the right hair style and make-up, and with this sketch portfolio, you decide what's hot and what's not. 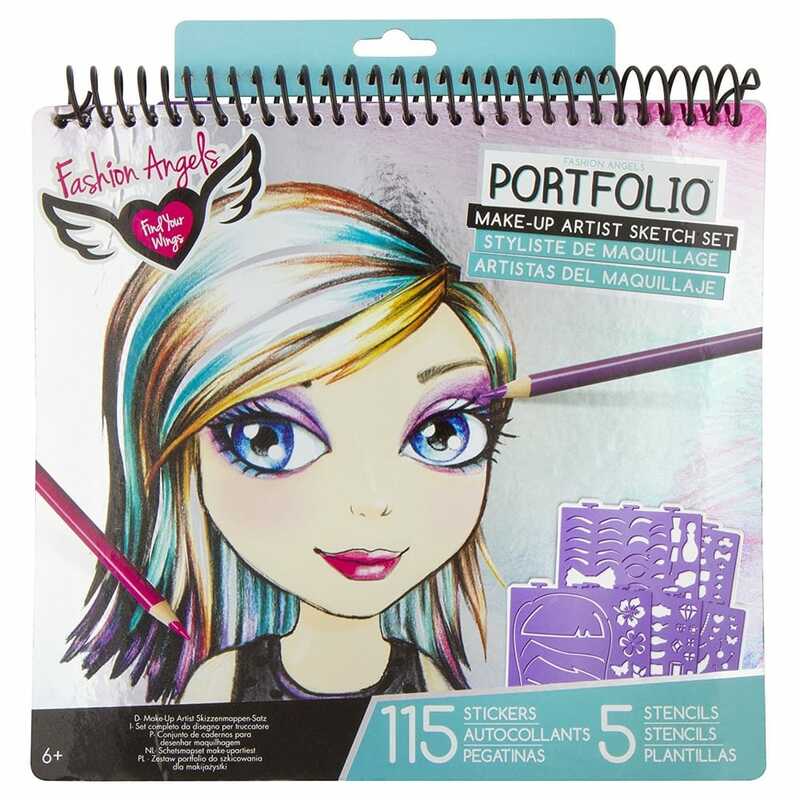 Design beautiful hair, make-up, and nails all with this easy to carry spiral-bound portfolio. Includes 40 make-up and hair stencils, 7 plastic stencil sheets with 100+ stencils, and instructions to help jump-start your ideas! A bit about the brand: Show off your creative side no matter what your interest, whether it’s fashion design, writing, making candy– you name it! Fashion Angels offer a unique range of products aimed at inspiraing Tweens to be creative.